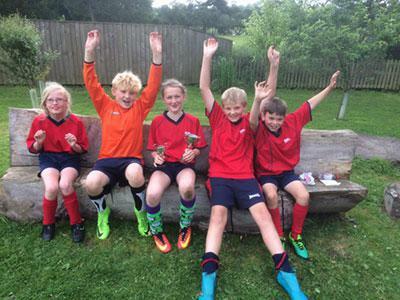 Despite a valiant effort Asby football team finished in 6th place at the Warcop tournament. They had a 5-0 loss in the first match which may have been down to a few nerves followed by a 0-0 draw. The team then lost the remaining games 1-3 (great goal by Ted Birkbeck) and the others 0-1 in very close games. 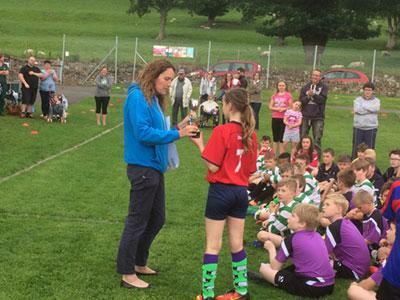 The good news is that Hollie Maughan won PLAYER OF THE TOURNAMENT (ie the whole thing) for her excellent tackling and determination so was awarded two cups - one to keep, and one to return next year.